If you wish you had a crystal ball to tell you when is best to bag a bargain flight, then consider your wish granted! Hopper promises to let you know when to buy tickets based on some clever software that analyses billions of flight prices daily! 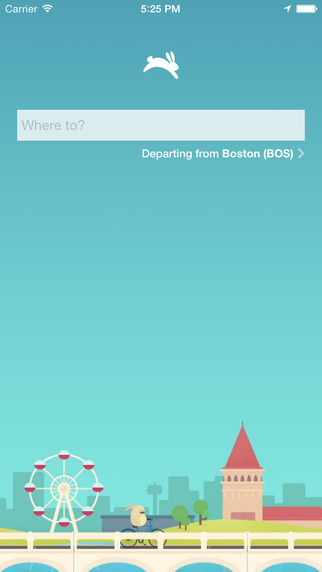 What Does The Hopper app Do? 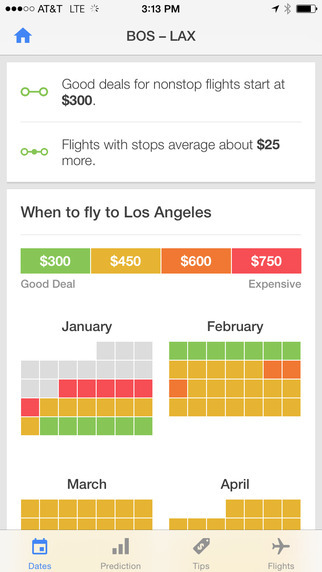 Hopper constantly monitors flight prices to find the best deals. It also uses this information to predict when deals are likely to come up, giving you all the info you need to be able to book a flight at the best time. When to Buy – Prediction software claims to be able to save travellers up to 40% just by purchasing flight tickets at the right time. Insider Tips – Before you book time off, consult the app’s insider tips featuring advice on cheapest travel dates for your destination, best time to fly and cheapest airports to travel from. Deal Alerts – Instant notification of price drops, and importantly, before they are about to rise again! There is no doubt that this simple app appeals to the savvy traveller, and is particularly suited to thrifty backpackers with a freer-than-most schedule. As it is only available in iTunes, requires iOS 8.0, and a reasonably new device (iPhone 5, iPhone 6, and iPhone 6 Plus), Hopper is potentially limited in its usefulness, but from those that have made the most of this free app, it gets a massive thumbs up in the reviews. Find out more at Hopper.Com or download on iTunes. This entry was posted in Travel Advice, travel apps on June 26, 2015 by worldwideinsure.